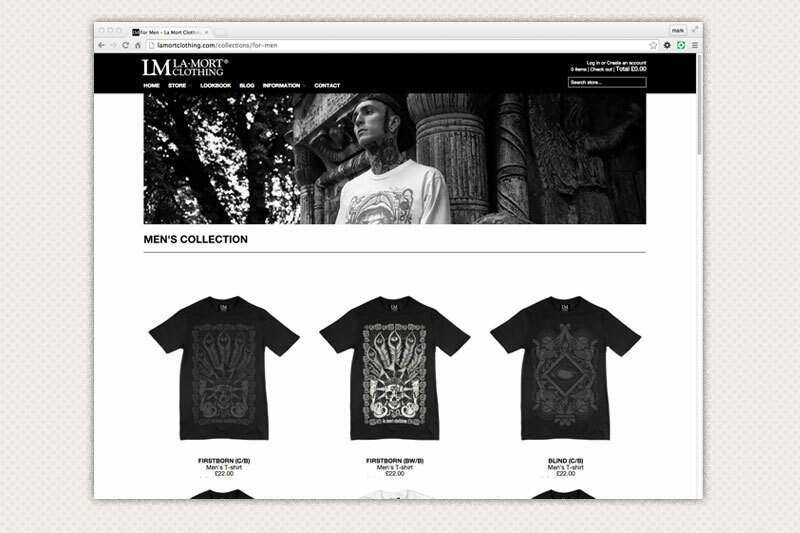 La Mort Clothing is a premium streetwear brand featuring iconic death-laced designs. 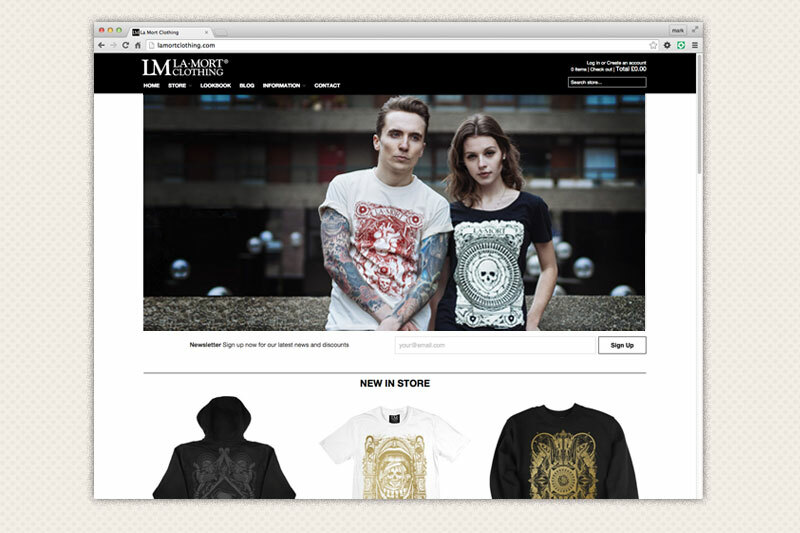 Starting as a brand sold only on their own stall in Camden Market, their webstore now allows them to sell worldwide. I worked closely with the brand to ensure the site design remained consistent with their core aesthetic. 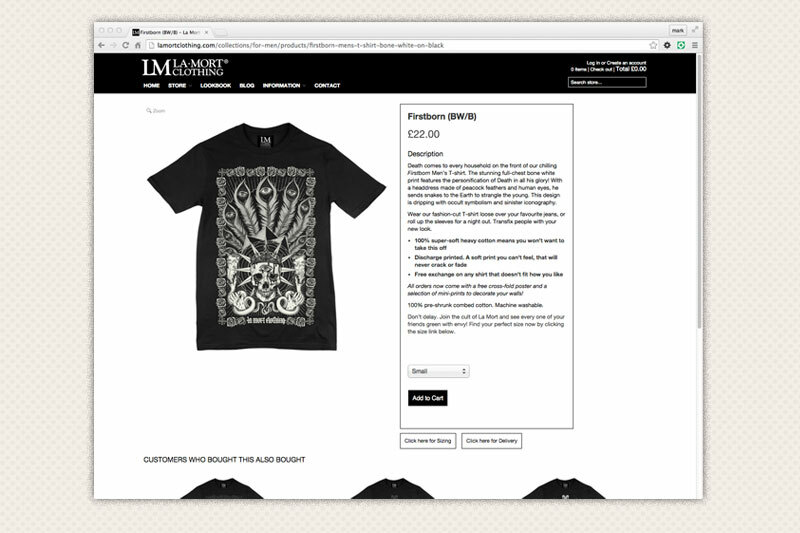 The site itself runs from a bespoke coded Shopify theme allowing them to take card payments easily, manage inventory accurately and update the site with new stock as it is made. The site is coded to be fully responsive, reformatting itself automatically to display correctly across desktops, tablets and mobiles.